Ever since he was young, Ari Goldwag has been motivated to influence and inspire with his music and Torah. His broad talents include singing, composing, and producing some of the latest hits in contemporary Jewish music. These gifts are present in every album, video, and Torah lesson that Ari shares with his community and fans. Ari first entered the Jewish music world at a young age and his singing career took off when he joined Miami Boys Choir, achieving fame for his dazzling solos. He starred in five albums and three videos before his departure from the group at age 14. Lishuascha Kivinu, Ari’s debut solo album, hit the shelves in 2003. In addition to composing 10 of the album’s tracks, he mixed, engineered, and produced the album himself. Throughout his career, Ari has had five solo albums and has starred in and produced several unique music videos. His exceptionally popular video, “Am Echad,” has been viewed over two million times on YouTube. The video promotes a strong and vibrant message of unity among various and diverse groups of the Jewish people. Ari has also used his talents to write and produce songs for other artists. Some of the more well-known works include Benny Friedman’s huge hit “Yesh Tikvah” and the production of the Sheves Achim and Sheves Chaverim albums. Ari not only inspires through his music but is also a prolific writer and lecturer on a variety of Torah subjects. 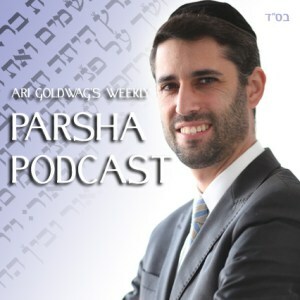 He has recorded hundreds of classes, the most sought after being the “Parsha Podcast” on the weekly Torah portion, which is updated regularly. In 2007, Ari founded the Ari Goldwag Orchestra, which performs at concerts, weddings, and organizational fundraisers. Ari enjoys recording and performing with his son Moshe Dov and introducing fans to his enthusiasm and energy. Ari lives with his wife Talia and their five children in Ramat Beit Shemesh, Israel.